The news was hailed as 'a springboard for the future success' of the Winding Wheel by Councillor Nick Stringer, Executive Member for Leisure, Culture and Tourism, in what will be the first large scale musical production from the West End to visit the town. Cllr Nick Stringer (left) Executive Member for Leisure, Culture and Tourism with Arts and Venues Manager Anthony Radford at The Winding Wheel. Having enjoyed sensational reviews, Bill Kenwright's 'AMAZING', 'SUPERB', 'WONDERFUL' and 'BRILLIANT' production of Tim Rice and Andrew Lloyd Webber's sparkling family musical continues to enjoy huge success across the country with standing ovations at every performance. Keith Jack, (left) the hugely popular runner-up who finished just a hair's breadth behind winner Lee Mead in the hit BBC series 'Any Dream Will Do', takes on the title role, having won the hearts of the nation with his sparkling charisma and sensational singing voice. It's also expected that local children will be selected to play their part in the choir section of the production. 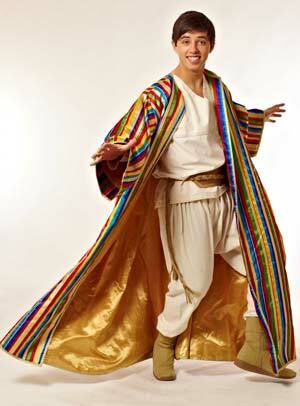 Retelling the Biblical story of Joseph, his eleven brothers and the coat of many colours, this magical musical is full of unforgettable songs including Any Dream Will Do, Those Canaan Days and Close Every Door To Me. Cllr Stringer said: "This is fantastic news for the town, and a credit to all the Council's staff who are working extremely hard to put the Winding Wheel and Pomegranate into the 'Premier League' of cultural venues in our region. 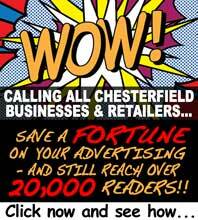 "This is hopefully just the first of many world class productions visiting Chesterfield and the beginning of a new era for customers and production teams coming to our town. "We are determined to use this news as a springboard for the future success of our cultural facilities, and to turn both the Winding Wheel and Pomegranate into community driven, value for money venues for years to come." He added: "I'm excited to be working with the Venues team. There's more work to be done, but this is an excellent start and we must build on this opportunity." 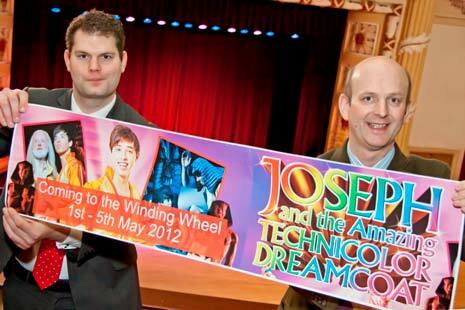 Joseph bursts onto the Winding Wheel stage from 1st - 5th May 2012, so book your tickets now and be part of the magic!